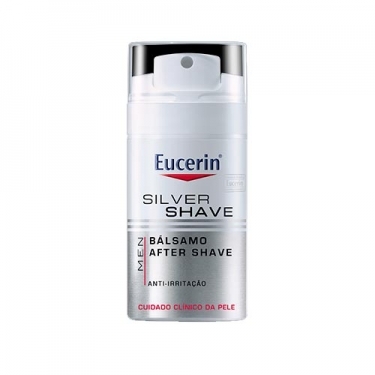 DESCRIPTION: Men After Shave Balm from Eucerin is an after-shaving balm, for sensitive skin prone to acne or atopic dermatitis. Formulated with Licochalcone-A, a derivative of the Chinese licorice plant, which has an anti-inflammatory action, which avoids skin irritation. It also contains silver ions, which have an antibacterial action that protects the skin and prevents the development of germs. Rich in soothing properties, it soothes and relieves irritated skin, giving a feeling of immediate comfort after shaving. No alcohol. Non-comedogenic. Apply gently directly on shaved skin to refresh and soothe the area.